Berlin. "Equal Rights for the Unequal!". Under that slogan Berlin's Regenbogenfonds e.V. will present its 26th annual Lesbian and Gay Festival-Europe's largest. 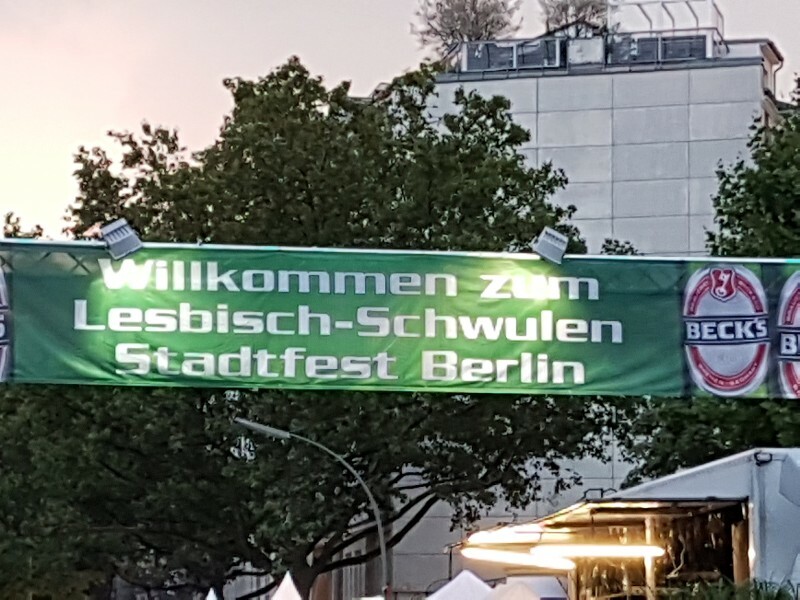 As usual, it is being held at the traditional gay stomping ground around Nollendorfplatz in Schöneberg. Daily from 11 am the 6 Festival-Worlds: 'World of Film', 'World of Politic', 'Positive World', 'World of Radio', 'World of Sports' and 'World of Wellness and Health' are presenting themselves on 20.000 m² at the Motz-, Eisenacher-, Fugger- and Kalckreuthstrasse as well as a wide range of lesbian, gay, bisexual and transgender projects, groups and organisations. On this giant open air amusement every year the LGBT*-scene shows how to have fun with each other. With over 370.000 visitors from all over the world it is truly the biggest event of its kind.